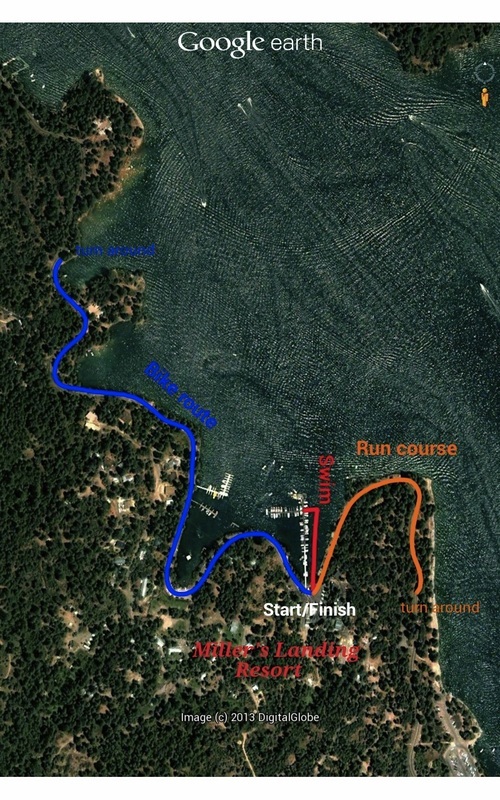 The race begins in the water off of the Miller's Landing Docks. Swimmers will exit the water at the shoreline. The Transition Area is located in the alleyway next to Miller's Landing Resort. The bike course is north of Miller's Landing Resort on Road 222. The run course is south of Miller's Landing on Road 222. The Finish Line is directly in front of Miller's Landing Resort.